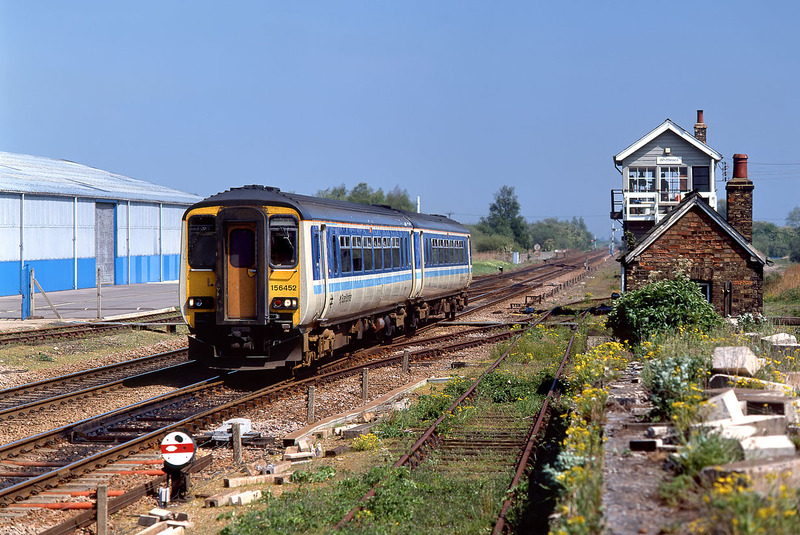 156452 passes the 1887 built Great Eastern Railway Whittlesea signal box on 20 May 1991, as it speeds westwards with the 13:17 Cambridge to Birmingham New Street Regional Railways service. The old loading dock makes a convenient photographic vantage point. Unfortunately I have very few pictures of the Class 31s that operated these trains until the arrival of the Sprinters, although a 156 in this livery looks quite historic now!